Are you looking for that PERFECT gift for someone special? We were VERY lucky and got to review Shari's Berries this month, and I can tell you that everything TASTES as amazingly as it looks! We ordered a full dozen Mother's Day strawberries with a trio of cheesecakes. Everything comes in a cooled box, so it arrives in perfect condition. The strawberries are HUGE (as you can see), and we got a variety, which was so much fun for the kids. Each was absolutely delicious and lasted for over a week (that was how long they lasted before being eaten!). 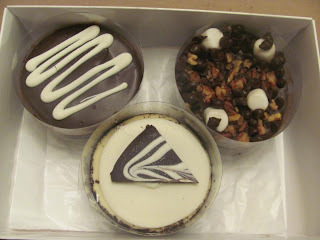 The cheesecakes were so delicious! Each came individually wrapped, and were just enough to share between 2 or 3 people. 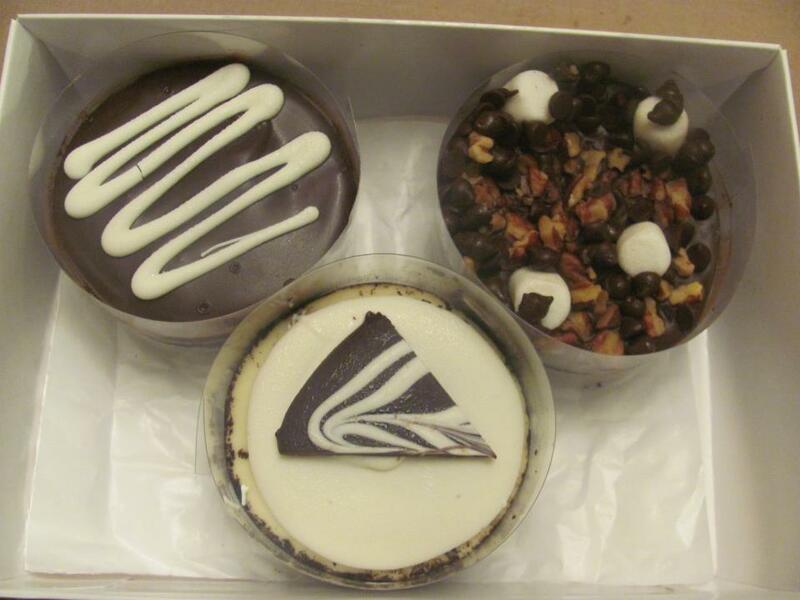 My favorite was the Rocky Road! Think they LOOK amazing? The taste was out of this world, and they were fresh and delicious! They also have birthday cakes and fresh fruit, so there really is something for everyone! 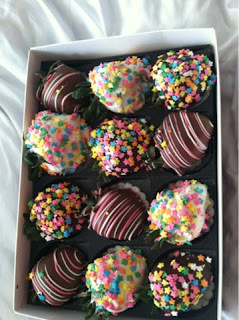 And make sure to visit http://www.berries.com/coupon-codes.aspx for coupon codes to use on all of the Red Envelope sites! MamaBreak was given a code to use at SharisBerries to review here on the website. We did not receive any other type of compensation. As always, our experiences and opinions are our own. These look to good! and I also love the Rocky Road! Oh wow! They look so delicious! Yummy!